Columns make such a statement when added to the home. Historically, columns exemplify both power and stability amongst the community. When a customer orders columns, they are in it to make a bold statement. 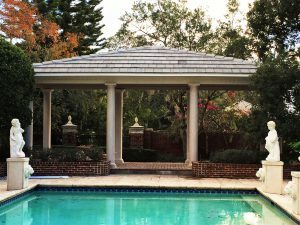 Recently, Forever Redwood, a company dedicated to growing and protecting Redwood Forests, purchased several Turncraft Endura-Stone columns for one of their customers. 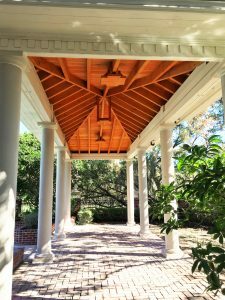 Pairing the columns with beautiful redwood frames, they created a stunning pavilion for a customer’s backyard. 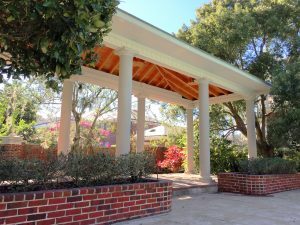 Elegant and simple, the pavilion makes a perfect resting place for the people who exit the nearby pool and need a break. Stately, elegant and bold, Endura-Series Composite Architectural Columns are historically inspired, entirely beautiful, and fully load bearing. 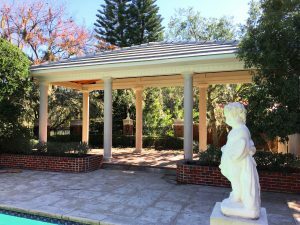 Whether the project is for the interior of your home or the outside, like this particular project, the Endura-Stone columns are a perfect choice! They are impervious to insects, rotting and moisture! 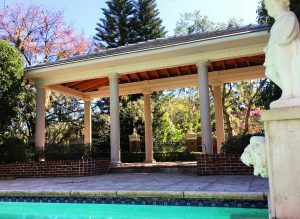 Our Endura-Series Composite Architectural Columns bring you traditional appeal and modern durability – an excellent alternative to traditional stone columns. Feel free to check out the full selection of columns via the link below!